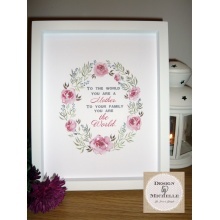 A gorgeous quotation print - as shown in picture. Colours can be adapted to suit if you wish. 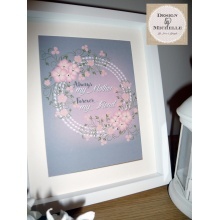 Your print will be printed on 300gsm card and finished off in an 8x10 white box frame. If you order the standard version of this print, you'll not receive a proof. Your order will be sent to print and dispatched to you within the current turnaround time. 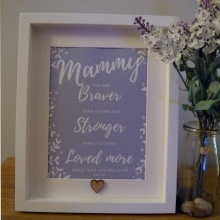 If you opt to add personalisation or have requested to customise your design in any way, you’ll receive a digital proof of your print sent via email . At this stage of the process you’ll be welcome to request any amendments you need. We won’t print until you’re 100% happy with the design and have provided us with your approval to proceed. 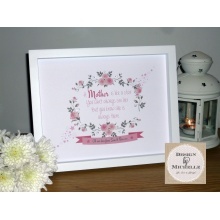 A gorgeous quotation print - as shown in picture. Colours can be adapted to suit if you wish. 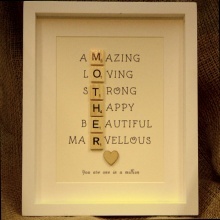 Can also be changed to suit name so Mother, Mammy, Mam, Mum whatever you wish. 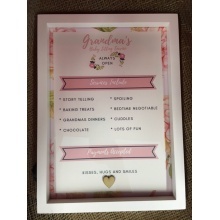 Your print will be printed on 300gsm card and finished off in an 8x10 white box frame. If you order the standard version of this print, you'll not receive a proof. Your order will be sent to print and dispatched to you within the current turnaround time. If you opt to add personalisation or have requested to customise your design in any way, you’ll receive a digital proof of your print sent via email . At this stage of the process you’ll be welcome to request any amendments you need. We won’t print until you’re 100% happy with the design and have provided us with your approval to proceed. 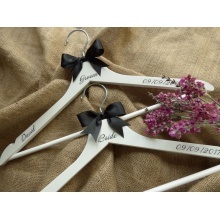 A personalised wedding hanger that can be personalised for your whole wedding party with ribbon to compliment your wedding colour scheme. Can be order in wood or white wood hanger. 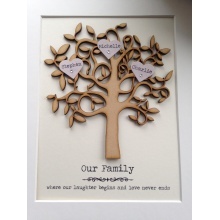 Please complete personalisation details with role - name - wedding date. 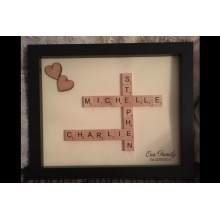 Personalised scrabble picture with your familys names in wooden scrabble tiles with the wording our family in the corner and either year of marriage or first child born. 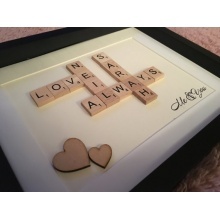 Complete in an 8X10 box frame in either black or white.